Without a little variety in any diet, mealtime can get boring. 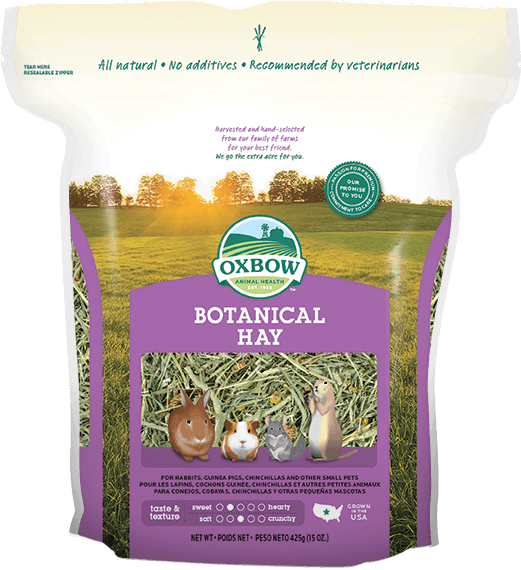 Oxbow’s Botanical Hay is a flavor-packed hay with extra personality. This enticing blend unites Western Timothy Hay with a rich array of three of the following fragrant herbs: chamomile, lemon verbena, hibiscus, lavender, rose hips, comfrey, borage or red clover blossoms. 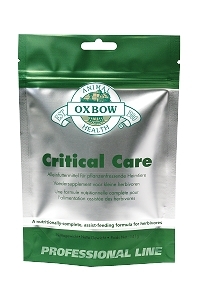 Alternate Botanical Hay with other Oxbow grass hays, or mix it in with other hays to create appetizing, long-strand fiber meals. Timothy Grass Hay and three of the following herbs depending on seasonal changes: Chamomile, Lemon Verbena, Lavender, Red Clover Blossoms.